Total fast-charging stations for EVs are set to reach 199,000 locations globally in 2020, up from just 1,800 in 2012. The number of these stations, meanwhile, is anticipated to rise more than threefold in 2013 to 5,900 and then nearly triple to 15,200 in 2014. Overall growth will continue at a rapid pace through 2020. 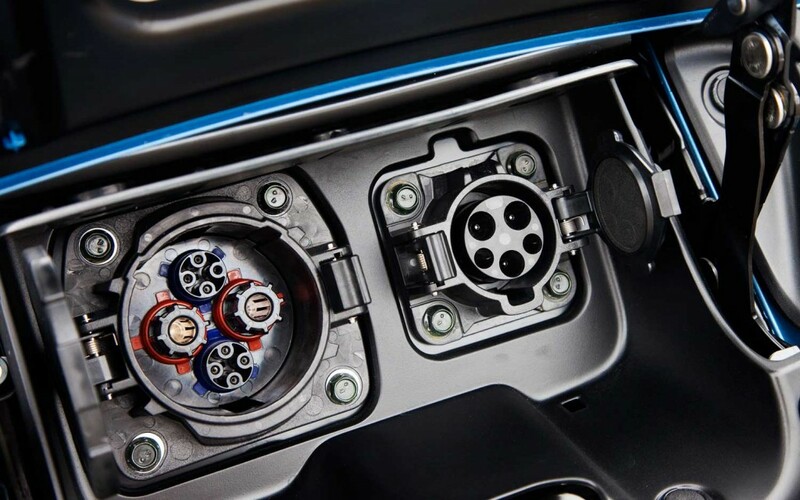 "The length of time it takes to recharge an EV continues to be one of the major stumbling blocks inhibiting the widespread adoption of electric vehicles," said Alastair Hayfield, associate research director at IHS Automotive. "Compared to the time it takes to refuel an internal combustion engine (ICE) vehicle, the recharge time for EVs is incredibly slow-at about four hours to charge a 24 kilowatt-hour (kWh)-capacity battery using a 6.6 kW on-board charger. If EV auto manufacturers could overcome this obstacle, it could lead to a high rate of adoption from environmentally minded consumers as well as those seeking to cut gasoline expenses. That's where fast charging comes in." Hooked up to a fast-charging system, which offers a high-voltage DC charge instead of a slower AC charge, a vehicle can be fully charged in as little as 20 minutes. This could be a major step toward EVs becoming generally equivalent to ICE vehicles when it comes to refueling. "IHS believes fast charging is a necessary step to promote higher adoption of EVs, but there will need to also be better consumer education regarding behavioral changes that may need to happen when owning an electric vehicle-such as charging overnight or at work," Hayfield said. One fast-charging standard designed for electric vehicles is dubbed CHAdeMO, a primarily Japanese-backed technology. The major proponents of the technology are Japanese automotive OEMs-including Toyota, Nissan, Mitsubishi; and Japanese industrial giants-including Fuji Heavy Industries Ltd., Tokyo Electric Power Co. and more. CHAdeMO, roughly translated as "charge for moving," began deployment in 2009 in order to accelerate the adoption of electric vehicles in Japan, where EVs have found positive reception. Today there are as many as 2,445 CHAdeMO fast chargers in operation and more than 57,000 CHAdeMO-compatible EVs around the world. This accounts for as much as 80 percent of all electric vehicles on the road, especially given the high concentration of EVs coming from Japan in the form of the Nissan Leaf, Mitsubishi i-MiEv, Hondo Fit EV and more. A competing solution to CHAdeMO, aptly named the combined charging system (CCS), offers electric vehicle owners the option of having a single charging inlet that can be used for all available charging methods. That includes 1-phase charging at an AC power source, high-speed AC charging with a 3-phase current connector at home or at public charging stations, DC charging at conventional household installation and DC fast charging at power-charging stations globally. 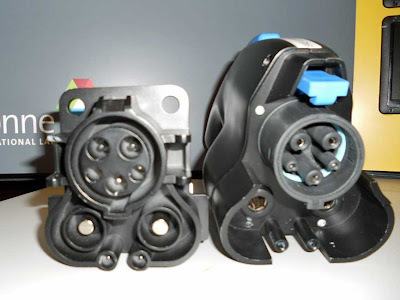 CCS, which was submitted for international standardization in January of 2011, has garnered the support of Audi, BMW, Daimler, Chrysler, Ford, GM, Porsche and Volkswagen. Already BMW, GM and Volkswagen have announced they will introduce fast-charging EVs based on the CCS standard sometime this year. Tesla Motors, the California company most notable for the all-electric Tesla Model S, is driving a third method for fast charging. Tesla is developing its own proprietary network of fast chargers in the U.S. Dubbed "Superchargers," the chargers operate at a higher power rating than current CHAdeMO or CCS chargers, and also have a proprietary plug interface, which means that only Tesla vehicles can use them. "In addition to the proprietary technology, the charging stations are free to use for Tesla owners, and there are plans to power all stations using photovoltaics," Hayfield said. "These Superchargers represent a powerful proposition for Tesla-drivers can charge faster, have U.S.-wide coverage by 2015 and will charge for free for life. This triple threat will aim to lock drivers into the Tesla experience, and also will give Tesla a perceived advantage over other original equipment manufacturers competing in the same market. Looking ahead to the future of EVs, it's clear that DC charging is becoming the favored means for supporting rapid, range-extension electric vehicles. But it is less clear as to whether CHAdeMO or CCS will win the battle for the consumer. Japan will continue to utilize CHAdeMO, while Germany is set on using CCS; other nations likely will also utilize CCS as well, since it supports slow-charging. But no matter which solution is used, DC-based fast charging is critical to promoting consumer approval and interest in EVs.